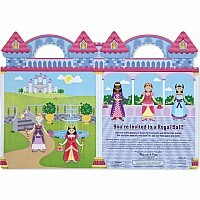 These reusable puffy stickers are filled with royal charm-and accented with glittering details! 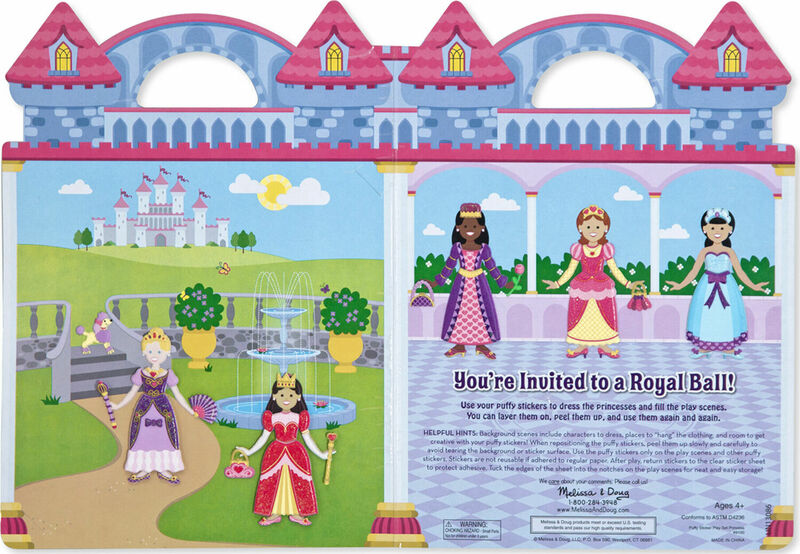 Layer them onto the double-sided background board to fill four royal settings with glamorous princesses, outfitted in mix-and-match ball gowns, jewelry, scepters, shoes, and crowns. 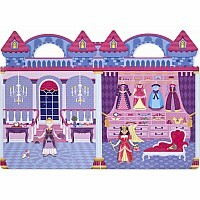 There's even a princely poodle to keep them company! 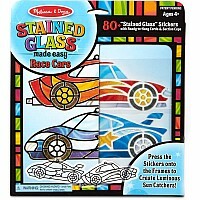 A built-in sticker collection-67 stickers in all-offers endless opportunities for kids to express their creativity and have lots of pretend dress-up fun. 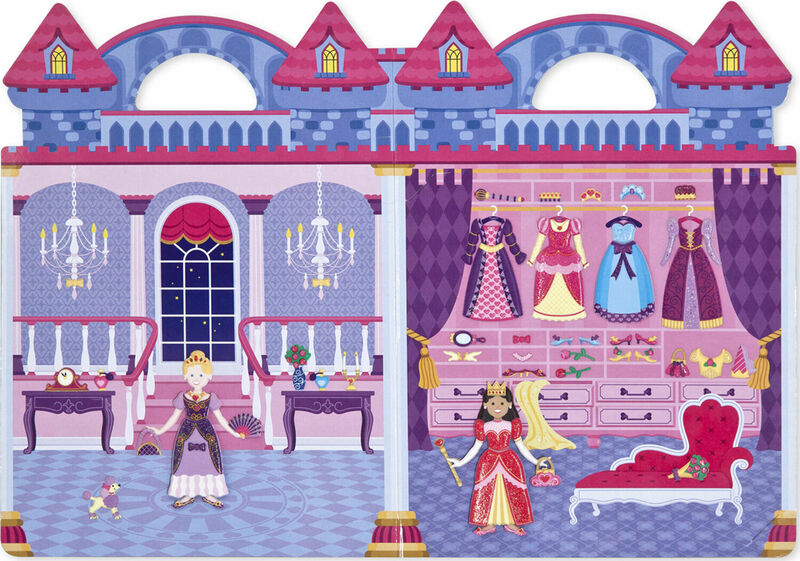 Simply peel up the reusable stickers to change the palace scenes, restyle the princesses, and tell a royal story from your own imagination! The sturdy background board folds to neatly store it all away, and a diecut handle makes this kids' sticker activity set great for travel to neighboring kingdoms.